Playtech has signed its biggest ever branded content deal to license and develop an extensive catalogue of iconic DC-branded film and television properties. This includes the recent Batman movies, Suicide Squad and the upcoming action adventure Justice League. Slot tournaments are now available inside MGM casino properties for mobile players. Known as "easyPlay Mobile Tournaments" it is the first of its kind to be offered in the United States and playable on a personal mobile device. MGM Resorts and oneLIVE Inc., a mobile gaming tech company based in Las Vegas, have launched a service which allows players to use a gambling-on-the-go device within ARIA Resort & Casino, Bellagio, MGM Grand, Mandalay Bay, The Mirage, Monte Carlo, Luxor, New York-New York and Excalibur. A five-year agreement has been reached between Evolution Gaming and the British Columbia Lottery Corporation (BCLC) to provide live dealer games and related services. 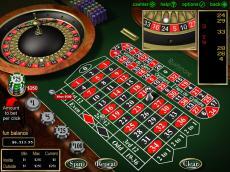 It is the Swedish company's first casino studio outside Europe. The venue will be used as a base for further expansion by Evolution in Canada. “It’s a real-time table game, hosted by a live dealer which can be seen online by our players via a live video streaming link,” explains the BCLC’s Doug Cheng. The California legislation was unable to legalize and regulate online poker during this years session. Despite their best efforts an agreement on the suitability standard was not possible. The tribal coalition led by the Pechanga and Agua Caliente tribes were asking for a 10 year ban against Amaya Gaming and PokerStars for previously operating in the state. They wanted online gambling companies who facilitated games for Californians before online poker became legal to be excluded or be required to pay a higher entry fee. A parliamentary committee met in Tokyo to discuss a proposal to legalize casinos in Japan. For the first time since 1989 Prime Minister Shinzo Abe's Liberal Democratic Party has obtained a majority in the Japanese Parliament which gives them the number of votes they need to push it through. Read more about Virtual Currency Options Expand in U.K.
Online gambling is expected to reach close to $1 trillion by 2021. Increased use of online mobile outlets and Virtual Reality (VR) technology are going to push this forward from $550 billion this year. People are excited about the possibilities involved with Virtual Reality thanks to the release of the Oculus Rift, HTC Vive and Sony’s upcoming PlayStation VR headset. Virtual Reality is already on course to revolutionize the online casino experience at Vegas Palms Casino which has ground breaking VR service in the works. A promotional campaign has been launched by 888 Holdings in anticipation of the passing of HB2150, Pennsylvania's online gambling legislation. The campaign is a cross-promotion between 888 and Mount Airy Casino Resort. Players who sign up to 888 Casino NJ thru the Casino website will recceive a bonus which is redeemable once the legislation is passed. The offer is a $25 "no deposit" bonus. This offer is only for players in New Jersey and does not apply to 888 Poker.